You are at:Home»Herbs»Portulaca oleracea Linn. Latin name : Portulaca oleracea Linn. Description : The seeds are anthelmintic, antibiotic, antidiarrhoeal, slightly astringent, demulcent, depurative, diuretic, febrifuge, tonic and vermifuge. Used in diseases of the kidney and bladder, as strangury, dysuria, haematuria, gonorrhoea, etc., and of the lungs such as haematemesis, haemoptysis, etc. Also useful in dry coughs and whooping cough. The leaves are a rich source of omega-3 fatty acids – substances more commonly found in fish oils, which is thought to be important in preventing heart attacks and strengthening the immune system. Purslane is antiinflammatory, improves blood circulation and prevents clotting in the arteries. The benefits of omega-3 fatty acids in the treatment of inflammation and autoimmune disease, including coronary heart disease, were outlined in a paper published in the Journal of the American College of Nutrition in 2002. 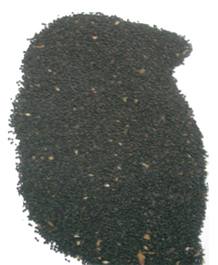 The herb is prescribed for internal use to prevent cardiovascular problems. The plants high concentrations of antioxidants means that it protects against cancer-causing and degenerative free radical damage – thus also slowing some of the effects of aging. In addition, it may help to regulate blood cholesterol levels. Contraindication : This herb is not recommended during pregnancy. Individuals with a history of kidney stones should use Purslane with caution.